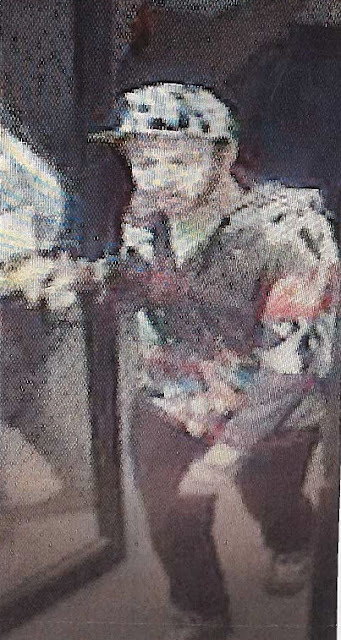 On Sunday September 25, 2016 at 2:28 A.M. a Caucasian male, between 25 and 30 years of age, approximately 5’7 inches tall with facial hair, wearing a cap and a multi-colored jacket is suspected of taking several items off the shelf from the 7-11 Convenience Store located at 401 Victoria Road in Revelstoke, BC. Without making any effort to pay for these items. If you have any information with respect to this Theft or any other criminal act, please do not hesitate to contact the Revelstoke RCMP at 250-837-5255 or Crime Stoppers at 1-800-222-8477 or visit their website at www.revelstokecrimestoppers.ca.